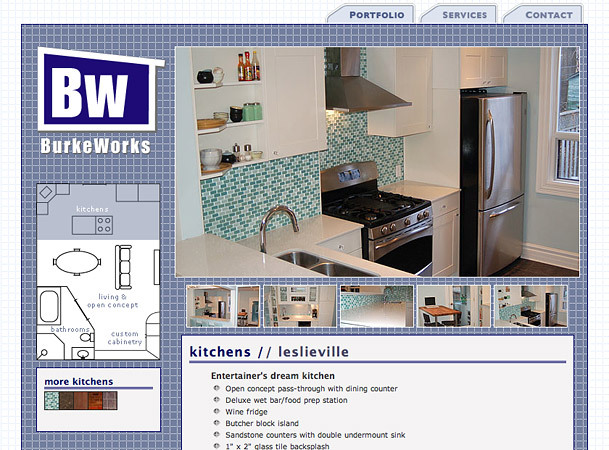 BurkeWorks is a boutique home renovation and construction business. Alembic developed a custom website and portfolio to support new business and client relationship development. 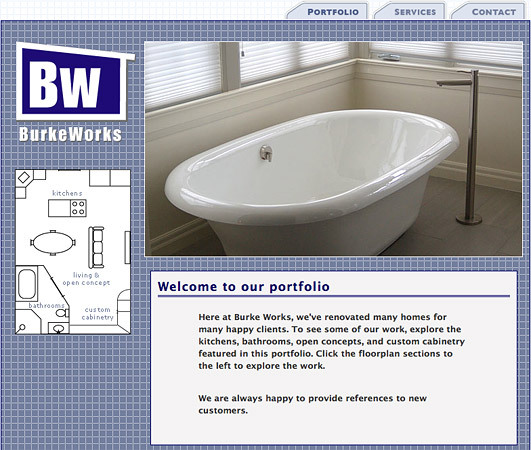 BurkeWorks is a home renovation and general construction firm. 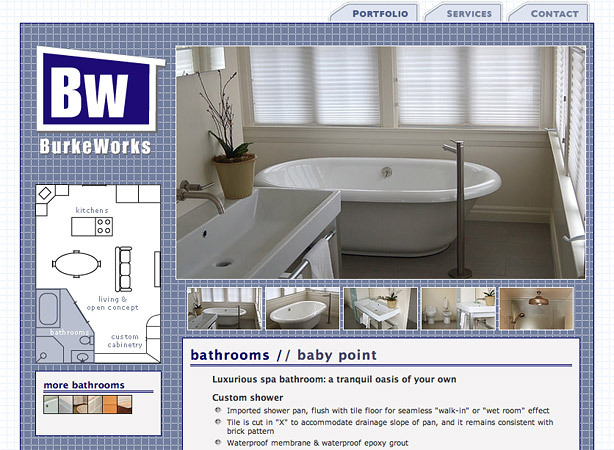 Their website showcases home renovation projects to prospective clients, and serves as a visual reference point during the project planning process. The design challenge was to integrate navigational aids for thematic browsing, project to project switching, with engaging image display. The site features a floorplan navigator to make focusing on a particular project type easy. A project navigator is comprised of micro thumbnails and title rollovers. Individual projects are visually engaging, with intuitive and responsive thumbnail navigation. Project features are tightly summarized and provide both the business and prospective clients with a shared vocabulary for drafting project plans. The blueprint background pattern reflects BurkeWorks' client-centred planning process from inspirational magazine clippings and catalogue samples to reality.